At just €3.99 a piece, these highlighters are very cheap and cheerful. As mentioned, this comes in three different shade. The only shade I am missing is the bronze shade which I knew would be too dark. However, if you have a darker skin tone than it may be a good option for you. The packaging of these highlighters is incredibly simple. It’s just a fuss free, plastic case that isn’t too sturdy and might break easily if you just chuck it into a bag. What is handy however is that the lid is clear so it is easy to see what shade you are grabbing for. What I thought was fun about these Catrice highlighters is the pattern that is printed into the powder. 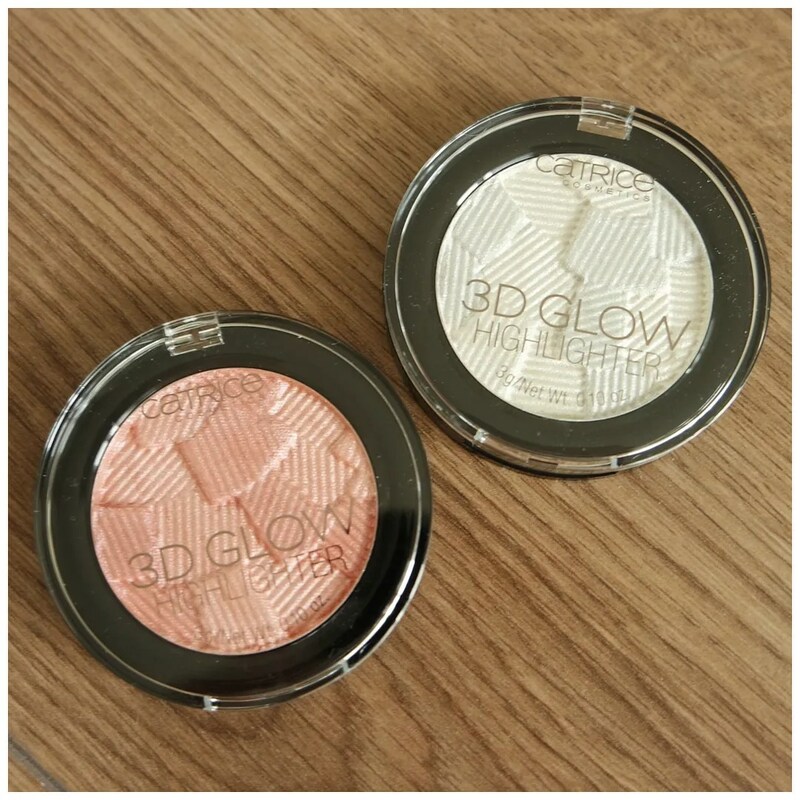 While it holds true to the name of these (3D Glow), these are very much inspired by the OG ABH highlighters that were hip and trending way back when the brand was first branching out into the world beyond brows. 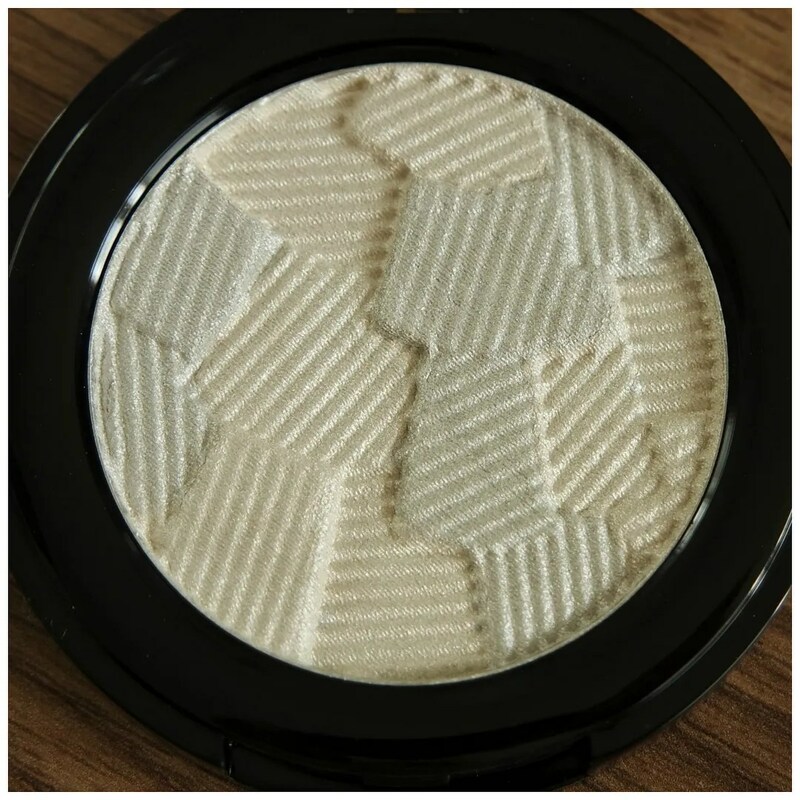 It is something that Catrice does very often and this is another one of those items where they definitely looked closely to a high end brand. The two shades I bought are a pink and a white. I wish they would do one of these in more of a champagne shade as I think that would appeal to more people. Another thing to bear in mind with these is that 2 out of 3 of the colors available are more cool toned than warm toned. So that is something that has to be up your street when you start looking into these. When it comes to the product itself what I noticed when I touched these is how soft these powders are. They feel buttery smooth and actually feel quite fragile. Mine won’t go very far and only travel from the drawer I keep them in to my vanity, but if you like traveling with your makeup and used them on the go, then these may be an item that is prone to breaking. Here you can see Icy Glaze on the left and Pinch of Rose to the right. As you can see, the powders are almost like a cream. The color payoff is intense and both powders have a cool toned pull. Of course these swatches were done with a finger, so you will not get the same effect when applying these with a brush. But still, these are impressive! To show you the full effect of these, I am wearing both shades layered over each other. At the top you can see my bare cheek with just a bit of bronzer and contour. I then go in with my highlighter. 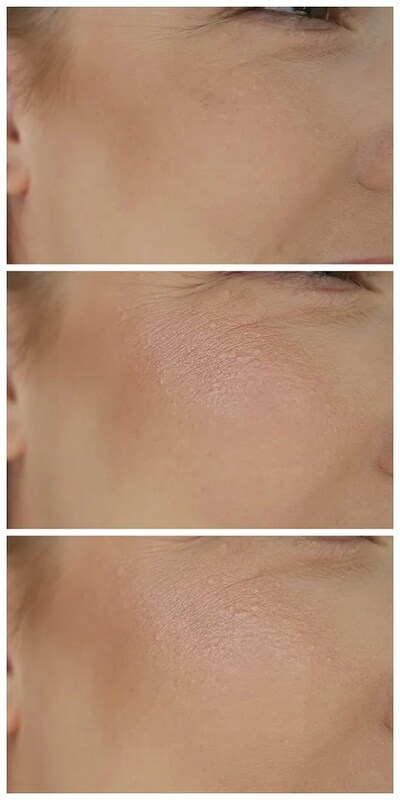 I have first used Pinch of Rose and you can see how that doesn’t do too much highlighting on my cheek. The reason for that is because the base pigment of the highlighter disappears against my skin tone as it is too dark. If you want a true highlight, the shade should be light enough else it simply will not show up well. This still gives a highlight, but I do detect a bit of silver sparkle in this one and the shine kind of disappears when I turn my head. Icy Glaze is far more successful on my cheek as a highlight. 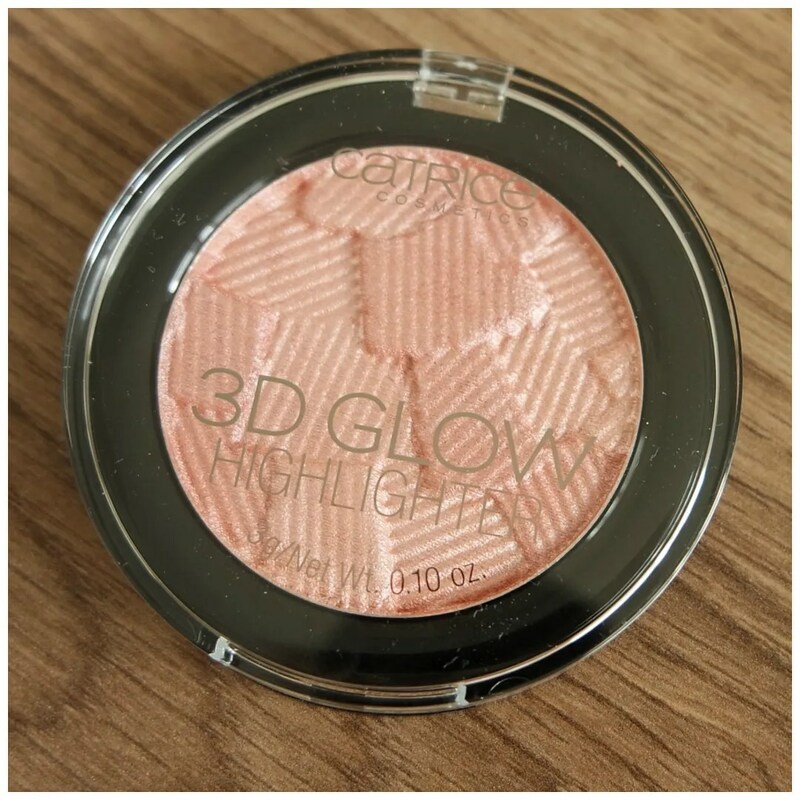 It gives a very cool, glowy look to my cheek and it is not as stark as the other shade. 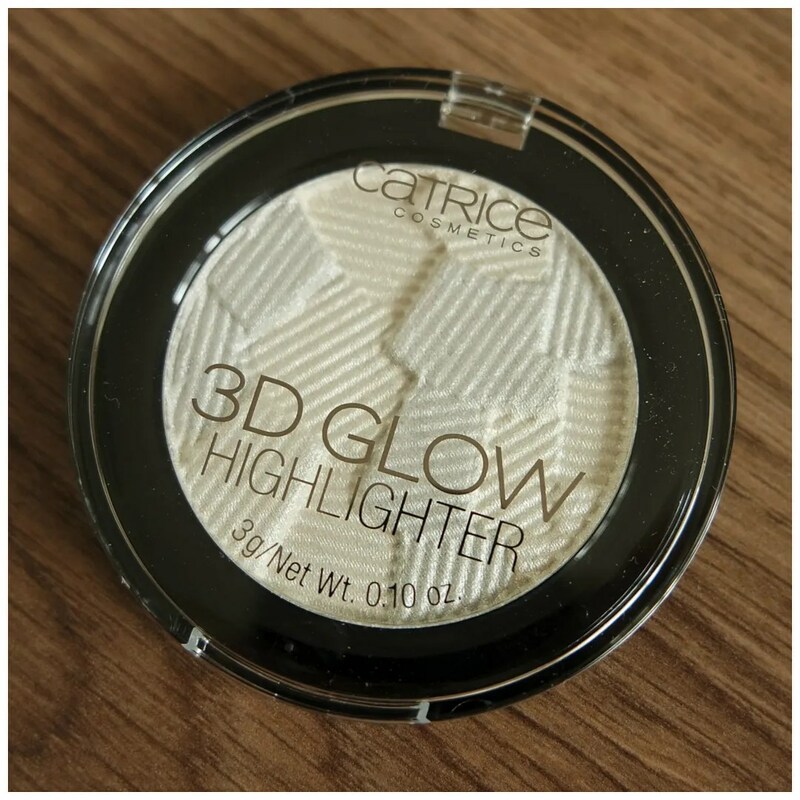 Yes I am impressed with the new Catrice 3D Glow highlighters. Pinch of Rose is a bit too dark for me, but if you have darker skin than me, it may be worth looking into. 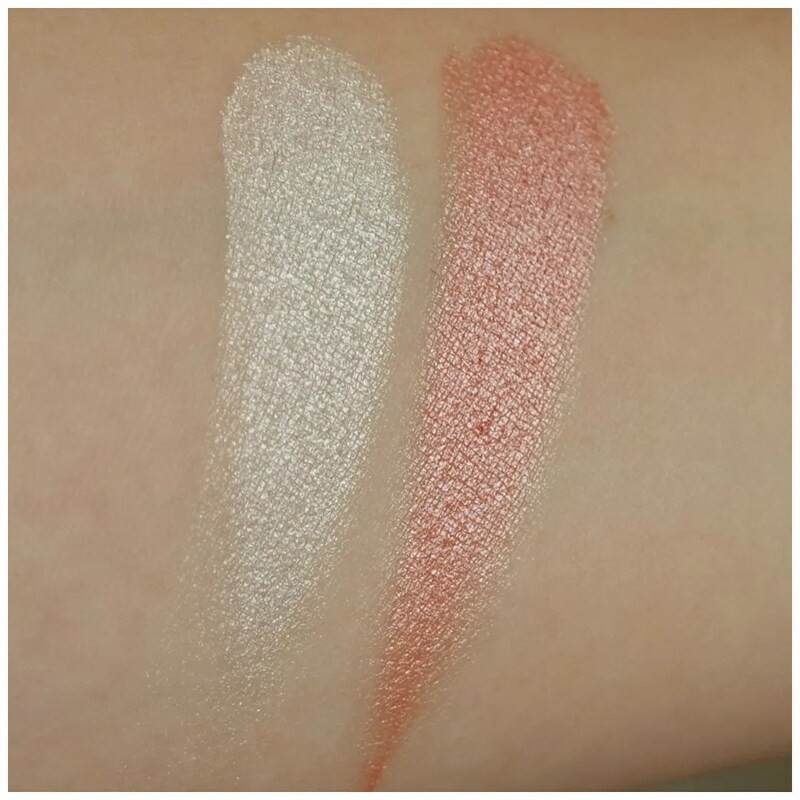 Icy Glazy is perfect on my skin and the texture of both of these is amazing. While the market is quite saturated with highlighters, I do think these are something new. And they are affordable to boot. What’s not to love? The Pinch of Rose is so pretty but would be more of a blush than a highlight on me. They look lovely on you – also, I like your eye makeup here! 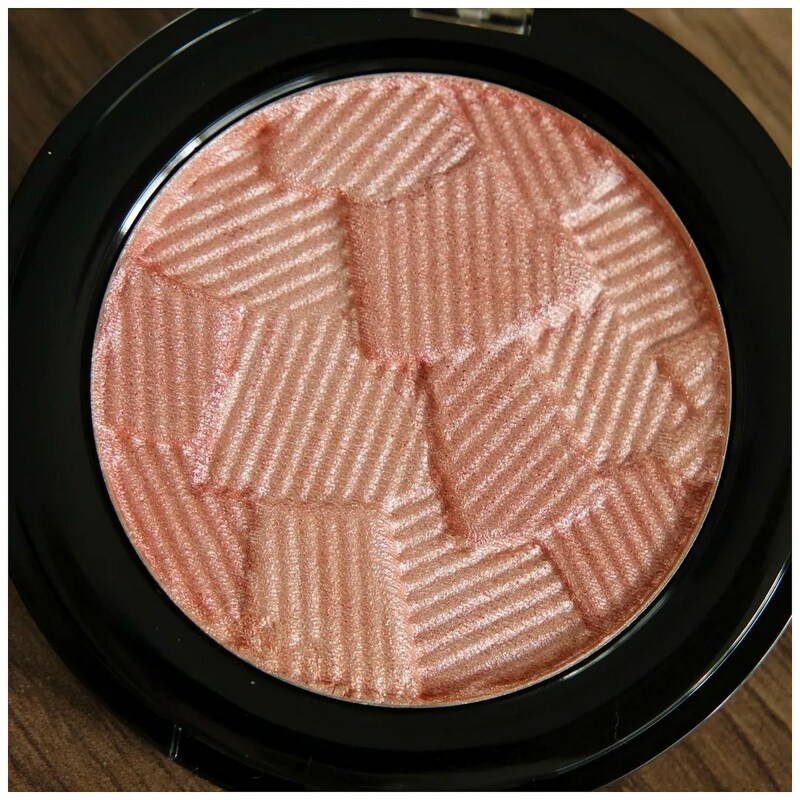 I really like a shimmery blush in the summer time, but I find this pulls a lot more like a highlight on me. It’s too shiny for my blush tastes. And thanks! 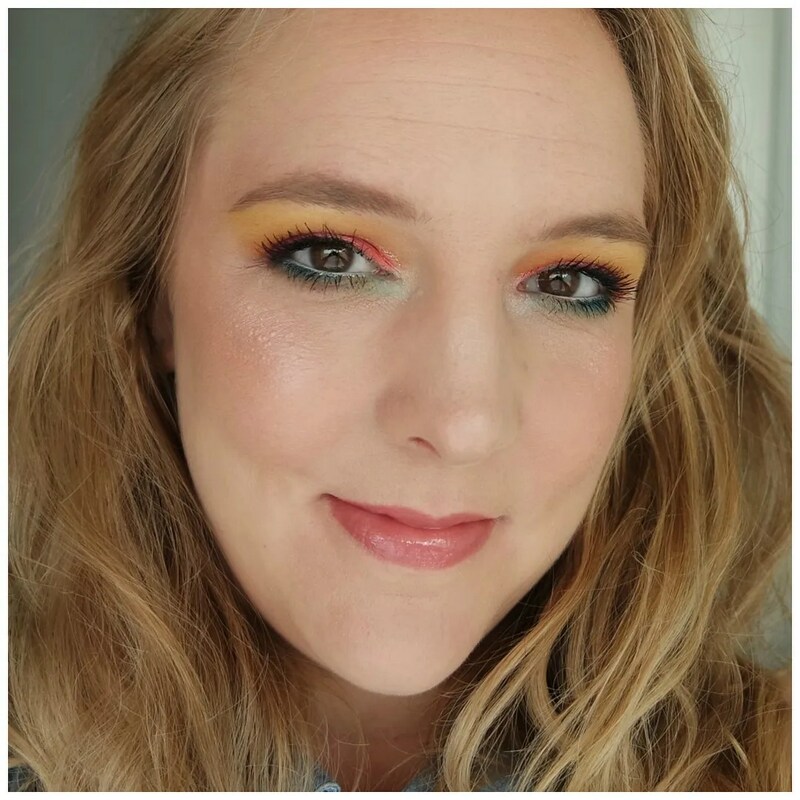 It’s the NYX Ultimate Brights palette!